The Prince Islands (Greek: Πριγκηπονήσια, Turkish: Prens Adaları, alternatively written as Princes' Islands in which the "princes" are plural (meaning "Islands of the Princes"); or Kızıl Adalar ("Red Islands") in Turkish); officially just Adalar ("Islands"), are an archipelago off the coast of Istanbul, Turkey, in the Sea of Marmara. 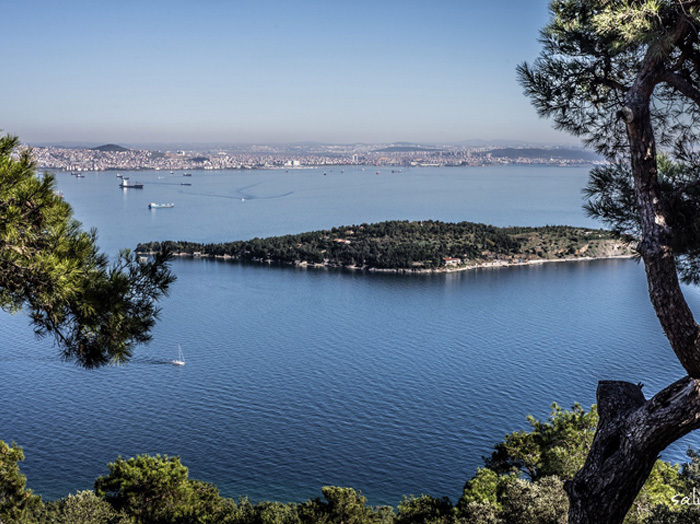 The islands constitute the Adalar district of Istanbul Province. The mayor of the Adalar district is Atilla Aytaç (CHP). 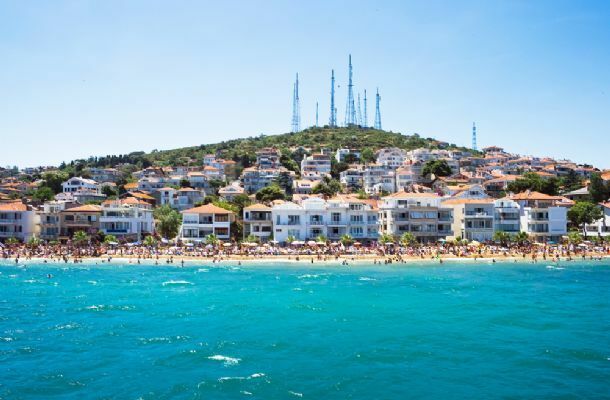 They consist of four larger islands, Büyükada ("Big Island") with an area of 5.46 km2 (2.11 sq mi), Heybeliada ("Saddlebag Island") with an area of 2.4 km2 (0.93 sq mi), Burgazada ("Fortress Island") with an area of 1.5 km2 (0.58 sq mi), Kınalıada ("Henna Island") with an area of 1.3 km2 (0.50 sq mi), and five much smaller ones, Sedef Adası ("Mother-of-Pearl Island") with an area of 0.157 km2(0.061 sq mi), Yassıada ("Flat Island") with an area of 0.05 km2 (0.019 sq mi), Sivriada ("Sharp Island") with an area of 0.05 km2(0.019 sq mi), Kaşık Adası ("Spoon Island") with an area of 0.006 km2 (0.0023 sq mi), and Tavşan Adası ("Rabbit Island") with an area of 0.004 km2 (0.0015 sq mi).